Eric Schenkman is the lead guitar player from New York City’s The Spin Doctors. Originally hailing from Canada, Schenkman set up shop with them and still plays with them after all these years. Here Schenkman’s band is Shawn Kellerman on bass, Van Romaine on drums and Cody Dickinson on drums. Kellerman is also a Canadian guitar player who toured with Godboogie and Lucky Peterson, to name a couple of his efforts. Romaine in a Jersey boy who has played and recorded with a host of big time musicians and bands. Dickinson is the percussive half of the North Mississippi All Stars’ Dickinson brothers. Brent Barkman also adds some B3 and JJ Johnson is on sax. Schenkman wrote or had a hand in writing all the tunes- they are all originals. He also does all the guitar work and lead vocals. “I’m Alright” gets things rolling. It’s a blues rocker that will please those who like a heavy dose of guitar in a rocking mode. Up next is “Locked In The House All Day,” pretty much a country/southern rocker. “Lincoln’s Feat” is a little but more blues-y and raw with a bit of a Delta feel as Dickinson and Kellerman set the pace. The vocals get a little monotonous, but I think that it was the intent to make it simple, repetitive and stark as in a hill country tune. The title cut gets a bit of a Cajun groove going in a song about who shot John at the Mardi Gras. “No Pain” is another rocker with steady and heavy guitar work and a deep groove. We get some nice B3 organ added to the mix on the slow blues rocker “Sign Of The Times.” “Far Away” gets the pace back up as Schenkman lays out some more heavy licks. 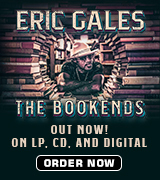 There is a bit of a Led Zeppelin feel to “Only A Fool,” a slow to mid-tempo rocker with a big solo by Eric. “Fortune Teller” is next, with a nice blues feel to it as Schenkman growls out the vocals and hammers out the lead on his guitar. Eric closes the set out with “Agent Orange Blues,” a very heavy, throbbing rock tune with a major backline groove setting the tempo. The album is like an old school rock album, coming in at just over 36 minutes; none of the songs drag on or feature big time jams like the Spin Doctors albums did. 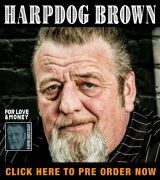 If you are looking for traditional blues you won’t find much here. 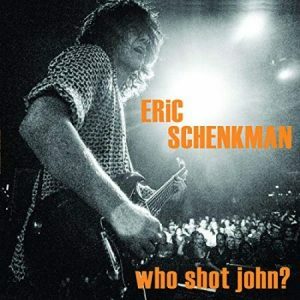 This is heavy, driving rock for the most part, where Schenkman unleashes his axe and plays with reckless abandon. If that’s what trips your trigger then this one’s for you. It’s got a huge dose of rocking guitar to satisfy the rock lover’s soul.